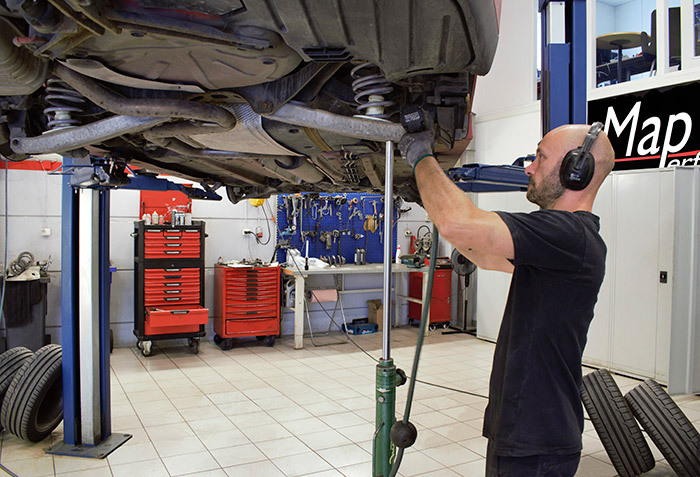 We perform all types of service and repairs to your car, such as gear repairs and replacement, troubleshooting, engine renovations, lamp replacement, or whatever you need help with. During spring and autumn we also offer changing wheels at favorable prices. Give your car the love it deserves and let us do your interval service. When your Saab starts to grow older, this also causes some common "diseases", such as gearbox problems, ignition cassette, fuel pump and backbone bushings. These are the jobs that we perform daily, but of course we take care of your car, regardless of what it may be for trouble. We run the Maptun Parts webshop ( www.maptunparts.com ) and accommodate a larger stock in our premises. We have a lot of spare parts in-house which means that, as time goes by, we can help you as quickly as possible without having to wait for items not in stock.